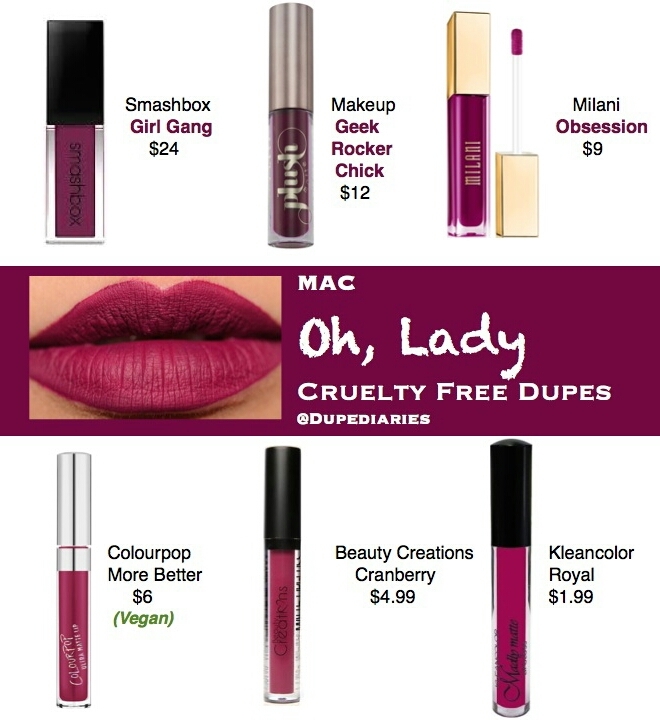 All of the products shown above are cruelty free (excluding MAC). Vegan options are cruelty free and vegan (no animal derived ingredients). Smashbox’ “Girl Gang” is about $3 more expensive than the MAC product being duped, however I included it for anyone who wanted a dupe that that color or already had it. As for the rest of the liquid lipsticks,they’re all pretty much comfortable and pigmented. I will say that the Colourpop and Beauty Creations choices can be drying, so be sure to use a good lip moisturizer prior to applying either of these.